This winter has been crazy in Michigan and although my outdoor runs have been few and far-between, I got out there this past weekend to try out my new Opedix tights that I was sent to try out. These tights are called Knee-Tec Tights and have a higher price than many others at $225. With the higher price tag comes some different benefits that most tights do not provide. They use Opedix Technology to promote dynamic alignment—improved mobility and stability—during training, rehab and everyday pursuits. They help to optimize joint function which lets your workout for longer with less pain and fatigue. They are made of 90% nylon and 10% spandex. I really like the zippered back pocket to fix different things in during a run. These tights are very warm and were comfortable on my run. I have been battling a knee injury since December and while wearing these, my knee pain did not kick in for a longer amount of time than if I was not wearing the tights. They have a draw cord at the waist and are stretchy (which is perfect since I am pregnant). 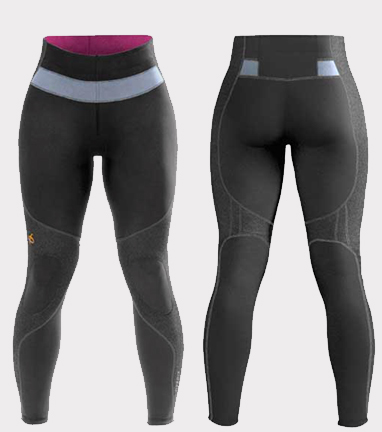 The Opedix tights come in two colors: black/fuchsia or black/mist gray. They are moisture wicking and have breathable fabric to help regulate temperature. They have an anti-odor fiber which is definitely great for while you are sweating. I enjoyed trying out these Opedix tights. As soon as some of this crazy ice melts outside that is so dangerous, I plan to get back outside running in my Opedix tights.